Parents of intellectually disabled children should ensure they have structures to protect their child after their death, according to a newly published legal guide. 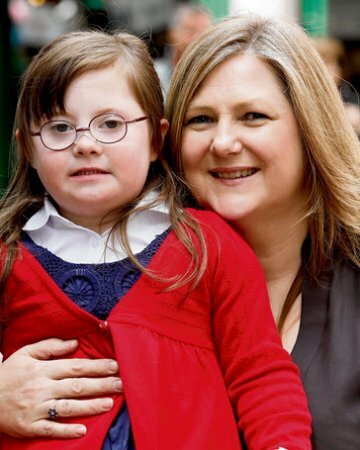 Down Syndrome Ireland and Pearts Solicitors launched the guide for the parents od children with an intellectual disability. 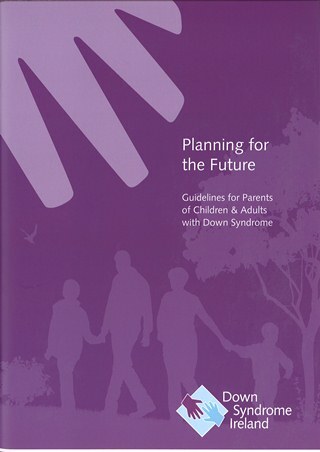 The booklet ‘ Planning for the Future’ , deals with wills, estate and tax planning. It addresses parents’ concerns about providing for children who are incapable of looking after their assets in the future. Tadgh Kelly, a solictor with Pearts and author of the guide, said that if parents failed to make a will, the law would not make any special provision for a child with an intellectual disability. ” This booklet gives simple, step by step guidelines to help parents take control and ensure that their child’s interests are appropriatley and securely provided for into the future”, he said. “If you die intestate, without a will, the Succession Act of 1965 kicks in and your estate is carved up between relatives in a prescribed manner”. He said that such a scenario was nor ideal for children with special needs, as they would need “extra provision to be made for them”. He recommended that parents should draw up a will, with any assets left to the child in question on a “discretionary trust” basis. Kelly said trustees must be allowed to make decisions about how the money in the truct was spent. ” The way a discretionary trust is set up is that it works only if the trustees are unfettered” he said.” Trustees must have absolute discretion as to how monies are spent , but the monies lust always be used for the benefit of the beneficiary. The trustees must have independence in how they use the trust for the person who lacks capacity”. The booklet also gives advice on nominating trustees. ” Thats why they are called trustees, as they are a most trusted person. It’s an onerous task, as they must care for people who can’t fully care for themselves”, Kelly said. He explained that the absolute discretion of the trustees was important for tax reasons, as an exemption from discretionary trust tax for a permanently incapacitated person woudl be lost if the trust could no longer be classed as discretionary. While parents cannot specify how their assets are to be used in the future, they can leave a “letter of intent” with their will, including personal details about their child for any future guardians or trustees. The booklet advises how to draft a letter of intent. 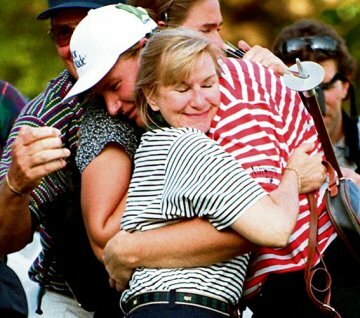 Ernie Els – a good read about a good man! THEY WERE, comparatively, kids then and not yet married when Ernie Els wrapped his girlfriend, Liezl, in an embrace 14 years ago after he won the US Open at Congressional Country Club. The group hug included Els’s father, Neels, who thwacked Ernie on the back on Father’s Day, though he missed his mark in the bedlam and ended up slapping Ernie’s mother, Hettie. No matter. Els was 27, a two-time major champion. His nickname, the Big Easy, fits his style of play, his demeanour, his life. What problems could the future hold? Major championships would come in bundles. Life would bring no bumps. Els arrived this week at Congressional a bit early for next week’s US Open, and he’ll bring the same seemingly boundless talent and effortless swing he had 14 years ago. He also comes with the knowledge he has 21 top-five finishes in majors, but has converted just three of them into victories: the first US Open at age 24 at Oakmont in 1994, the dramatic victory at Congressional three years later, and the 2002 British Open. Those accomplishments – or lack of them, in his view – define Els as a golfer. Among active players, only Tiger Woods and Phil Mickelson have won more majors. Even at 41, Els’ circumstances on the course seem no different: same relaxed demeanour, same languid swing, same abundant gifts. So it’s not just Els who wonders: could more have been expected from someone who owns 39 worldwide victories? Potential, though, can be a damning burden, its fulfilment often complicated. In evaluating a career, how do you factor in the unexpected, off-course development? How do you take one fact – that Ernie and Liezl Els’ second child, Ben, was born with autism – and determine its relationship with how someone hits a golf ball? It took only a day. Samantha, Liezl and Ernie’s daughter, was an easy baby, “a perfect little girl”, Ernie said, “blond hair, blue eyes, just beautiful”. So eight years ago, when Liezl gave birth to Samantha’s younger brother, Ben, the Elses had a reference point. And within 24 hours, Liezl knew: Ben’s behaviour, his development, did not match Samantha’s. According to the National Institute of Child Health and Human Development, autism is a “complex developmental disability that causes problems with social interaction and communication”. It is called a “spectrum disorder” because symptoms and their severity can vary so widely from person to person. Autism Speaks, the primary international foundation supporting research of the disorders, estimates that one in every 110 children has autism diagnosed, “making it more common than childhood cancer, juvenile diabetes and pediatric Aids combined”. The Elses’ course, then, was two-fold. First, they had to learn how to raise Ben while simultaneously pay attention to Samantha’s needs. There was, too, the matter of how to handle their travails publicly. Their friends on the PGA and European tours knew of Ben’s condition, and they were quietly supportive. Ernie, to that point a private man, was dealing with his boy’s problems, with his own life, but as a public figure, he was in position to bring a focus to autism. It all rattled him. So it was that Els arrived at the 2008 Honda Classic with the logo for Autism Speaks stitched on his golf bag. That week, after months of discussions with Liezl about how to handle it – he began talking about Ben’s condition in the media. And that was the Ernie Els who, eventually, started his own foundation, Els for Autism. Ernie and Liezl began by raising money with a single golf tournament. They have plans to raise $30 million (€20.5m) – of which Els has already donated $6 million (€4.1m) – for the Els Centre of Excellence, a facility with designs on providing access to education and therapy for autistic children around the world. The foundation has taken off, and this year is staging a massive, 32-site national golf tournament. For so many who have followed Els, there is no reason to be depressed about golf. Last month, in the middle of his career, he was inducted into the World Golf Hall of Fame. Back in South Africa, he took the place of Gary Player as the icon after whom a generation of kids modelled themselves. He began a golf development programme in his homeland, a programme that produced 2010 British Open champion Louis Oosthuizen. There have been so many close calls – the runner-up finishes in the 2000 Masters, US Open and British Open; seconds again at the 2004 Masters and British, the latter in a play-off. Convert a couple of those – or any of the 18 top-fives in majors he didn’t win – and he is indisputably one of the three greatest players of his generation. The most recent close call came in last year’s US Open at Pebble Beach. Els pulled into a tie with leader Graeme McDowell on the front nine before disaster around the turn – a three-hole stretch which he played in four over par – and a slide to third. “That one hurt,” Liezl said. It hurt, he said, until he got back to his family. In that first moment, in a different kind of group hug, the pain melts away. “I can’t put it in words how grateful I am to them, especially Ben,” Els said. “He’s taught me so much. He’s so innocent, so straightforward, so pure. Els’ adventure may not have been the one he envisioned in 1997, when he hugged what was then the extent of his family. But next week, he will be back at Congressional, not just to relive old memories. He arrives trying to simultaneously sort out his game and post one more – as a different man with a vastly different life. Including Samuel to be aired on RTE!…A MUST SEE!! We congratulate Dan Habib (Film Maker) that his award winning film Including Samuel will be aired on RTE 1 on Wednesday 29th June 2011 ( albeit at the awkward time of 12.00 a.m. (Midnight)). They will make the film available for streaming on their website for 21 days after broadcast (only people in Ireland will be able to watch it). That will enable many more people in Ireland to see the film. 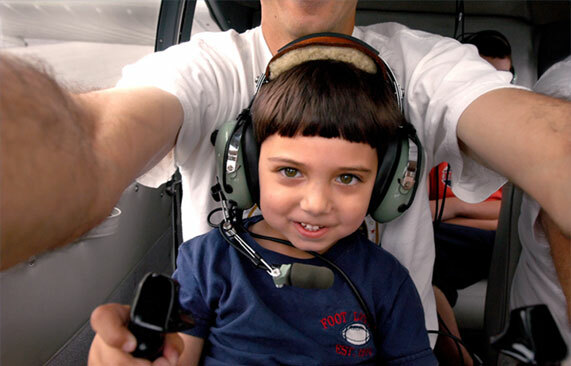 Shot and produced over four years, Habib’s award-winning documentary film, Including Samuel, chronicles the Habib family’s efforts to include Samuel in every facet of their lives. The film honestly portrays his family’s hopes and struggles as well as the experiences of four other individuals with disabilities and their families. Including Samuel is a highly personal, passionately photographed film that captures the cultural and systemic barriers to inclusion. The film has been screened at universities, national conferences, public television stations and independent theatres across the country. Including Samuel has also been featured on NPR’s All Things Considered, Good Morning America, as well as in the Washington Post and the Boston Globe. The film won the Positive Images in Media award from TASH, an international group committed to the full inclusion of people with disabilities. It has also screened at the Sprout Film Festival at the Metropolitan Museum of Art, the Boston International Film Festival, the Ft. Lauderdale International Film Festival, the Moscow International Disability Film Festival and won the “Excellence Award” from Superfest International Film Festival in Berkeley, CA. The Including Samuel Project is a program of the Institute on Disability at the University of New Hampshire, a non-profit 501(c)3 organization. Donations to The Including Samuel Project will help build more inclusive schools and communities through curriculum, training, and outreach. All donations are tax deductible. Our little boy was born with Down Syndrome, which doesn’t bother us at all. He’s just a little normal dude to us, with a chromosome upgrade. It just makes him even more special to us. He’s our little super-hero … without the cape. We do know that being born with a disability may be challenging for him. As any loving parent, it is therefore our duty to protect and assist him throughout his life, making sure he gets all the same opportunities as any other kid. Parents of kids with disabilities want, for obvious reasons, their kid to attend mainstream school. They will develop in confidence and get friends and even be part of a gang. So, because our little dude turns six this year, it means he can start mainstream school. This is another proud moment in our life. Our little dude is off to school. Our oldest daughter is attending an Educate Together School, which apparently is meant to be excellent and very inclusive, meaning that it doesn’t care about religion or disabilities. It will treat and educate kids equally … or so we thought. The application / enrollment form for our son was submitted in January and we had the initial chats with the school about his needs. It’s pretty obvious that he would need some level of support, called Special Needs Assistant (SNA), to help him during the school day, making sure that he does his duties, math, toilet stuff, lunch, etc. In order to get an SNA, we needed to submit a few documents about his disability to then get him enrolled. Keyword here. He had to be enrolled in a school before the Principal can apply for the SNA. We submitted the necessary assessment reports and waited for the school to contact us. The contact happened after a recent visit to the US, where we met the principal and the Chairperson from the Board of Management. Let me just say, it didn’t go as we expected. Both the Principal and the Chairperson were reluctant to enroll our son due to his disability, using the excuse that he wouldn’t get an SNA – according to the school. Please note, the principal can only apply for a SNA after he has been offered a placement! How did they know he would not get an SNA? Secondly, they didn’t like or accept the reports from the local health-board (HSE) psychologist which clearly stated that our son should go to a mainstream school. The Principal didn’t think the assessment reports were completed. However, if the assessment reports were reformulated, then she would give our son a place in the school. Based on the Principal’s suggestion, the assessment reports were re-written and the psychologist wrote 3 letters to re-iterate her views and support that he should go to mainstream school – unfortunately the Board and Principal back-tracked on their promise!! The next few weeks were spent arguing with the school, getting letters from the healthboard and contacting various support organisations. Finally, we received a letter from the school and hoped it would be good news. But no, the school denied our son a place in the school, because of his disability. The school in question is Educate Together in Lucan – and this post was created from the following email we received here at My Special Needs. Our son was not enrolled in school because of his ability, despite the HSE supporting us that he should be put in mainstream school. The principal and BOM simply refused, and didn’t want to apply for SNA either! 15% of Population live with a disability! More than 1 billion people around the world live with disabilities, according to a new report offering the first look in 40 years at the global prevalence of disabilities. The findings presented Thursday come from a report produced by the World Health Organization and the World Bank. It shows that about 15 percent of the world’s population have disabilities and that number is on the rise due to aging and growth in chronic health conditions. What’s more, of those living with disabilities, between 110 and 190 million are believed to experience significant functioning difficulties. Disabilities are more common in poor countries and among women, older individuals and people living in low-income households, the report found. The report does not break out developmental disabilities specifically, but gives perspective on the impact of everything from intellectual disability, mental health issues and blindness to conditions like cancer and heart disease. However, the data indicates that those with physical disabilities are largely faring better than individuals with intellectual impairments in school and work environments. Few countries have the infrastructure in place to meet the challenges faced by those with disabilities, the report found. In a series of recommendations to governments and other organizations, those behind the research suggest enhancing inclusion to the greatest extent throughout society, among other measures. Copyright © 2011 Disability Scoop, LLC. All Rights Reserved. Further Cuts from this short sighted Government! Parents and unions expressed their anger last night after the Department of Education announced a 10pc cut in teaching support for children with special needs. From the beginning of the next academic year in September, schools will receive just 90pc of the teaching hours they need to meet the needs of students who require special needs assistance. This means that a school which this year had 25 hours will have to teach the same children in 22.5 hours. The Irish National Teachers’ Organisation (INTO) condemned the move and said it was another example of cuts being imposed on the most needy pupils. General secretary Sheila Nunan said schools that had been most inclusive of all children would be worst affected. However, she said ultimately all children would be affected by the decision. “Inclusion in primary schools needs adequate resourcing,” she said. A spokesperson for the Special Needs Parents Association said it was totally opposed to the cuts. “We have already taken substantial cuts when it comes to special needs,” Cathy Shevlin said. A spokesperson for the ASTI, Ireland‘s main second level teaching union, said it was seeking a meeting with the department. “We are not aware of an actual cut to date. However, we are concerned that there could be the possibility of cuts at some stage,” said the spokesperson. Ms Nunan said Irish classes at primary level were among the most overcrowded in Europe and special needs children would be lost without resource teachers. Many families would be hit on the double because both home and school supports to their children were being cut. She said the decision would place schools in the very difficult position of having to explain to parents of children with special needs why schools will not be able to provide the level of support recommended by psychologists, psychiatrists and speech therapists. The Department of Education said: “The number of resource teachers which will be allocated for the new academic year 2011/12 will be 9,950. This is an increase of 350 posts on the number of resource teachers allocated in 2010. Do you want to reduce your organisation’s costs without compromising its effectiveness? 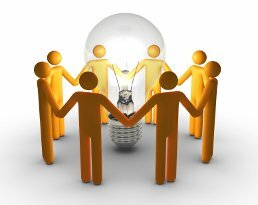 Have you considered working with other organisations to achieve a shared objective? The Wheel has launched Collaborate to Innovate, a unique programme developed to help organisations working in the community, voluntary and charity sector to explore joint working arrangements and mergers. The project involves a series of free half day seminars to introduce the concept of collaborative working. It will also provide a number organisations with specific consulting supports over a four-month timeframe to bring joint projects to life. The Collaborate to Innovate Programme is funded by the Vodafone Ireland Foundation, and The Wheel is delivering the programme in association with Prospectus Strategy Consultants. CBeebies host – Cerrie Burnell – Advocates for Diversity! BBC children’s presenter Cerrie Burnell wants more people with disabilities to be cast in strong storylines on television to challenge perceptions. The CBeebies host, who has only one hand, said she was in a “lovely and powerful” position — in her high-profile television show — to highlight diversity. A number of parents complained after Ms Burnell, who stopped wearing a prosthetic arm at primary school, first appeared on the children’s channel as a host back in 2009. “There were some of the parents who objected because I think they felt it raised difficult discussions with their children regarding disability. There are not enough disabled people on television,” she said yesterday to highlight her involvement in next month’s two-day Disabled Drivers of Ireland conference which runs alongside a free Access, Care and Mobility Expo at Dublin’s CityWest Hotel. “That needs to change. I’m at the forefront of that change. It is a lovely and powerful position to be in. It is an industry so based on looks and it is difficult to proceed whoever you are,” she said. An Evening of Shakespeare with the Rhythm Room! Hello, My name is Nicola Kealy. I run the Rhythm Room, A space for Integrated Theatre and special needs. I am writing to let you know that Rhythm Room in conjunction with St. Michael’s House are putting on an Evening of Shakespeare at the Axis Theatre Ballymun on the 1st and 2nd of June. The evening will comprise of two plays: A Midsummer’s Night Dream and Romeo and Juliet, both plays have emerged from a two year workshop process with the Actors and both plays are integrated. The set and Art work has been created by the service users of three different St, Michael’s house centres, some of whom have severe intellectual learning disability. The project is a collaborative one bringing together staff, service user’s and actors and the evening promises to be very funny and heartbreakingly sad. I would be delighted if you could mention us on your website. I am attaching a poster for the play with details of same. Down Syndrome Liaison Nurse – a world first?!! FEAR OF the unknown is probably the most common emotion among parents of newborn babies diagnosed with Down syndrome, according to Angela O’Riordan. Ireland and probably the world’s first Down syndrome liaison nurse, O’Riordan was appointed to the National Children’s Hospital in Tallaght in June 2009 and since then has worked with 120 families, the majority of them from counties Dublin, Wicklow and Kildare. The charity, Down Syndrome Centre, which funded her appointment, is hoping to extend the service throughout the Republic. “Other emotions associated with receiving a diagnosis of Down syndrome are sadness, guilt, disbelief that this has happened to their baby, and anger,” explains O’Riordan. She believes it is important to acknowledge these feelings and to reassure parents that they are “normal” and to remind them that they are having difficulty accepting Down syndrome and not their baby. She advises parents to focus on the baby and to enjoy every stage, without looking too far into the future. The liaison nurse usually meets parents in the maternity hospital soon after the baby is born and her job is to provide a link between family and the medical professionals for the first year of the baby’s life. Providing information and practical and emotional support can involve home visits or phone calls, depending on the family’s wishes. Often at a first meeting, parents are tearful, and express feelings of hopelessness and despair, says O’Riordan. “They also feel guilty for having these negative emotions and maybe also be blaming themselves for something they have or have not done during the pregnancy,” she explains. One of her first jobs is to reassure parents that Down syndrome occurs incidentally and is not because of something they have done. The condition, estimated to affect one in every 564 babies born in Ireland, is the most common cause of learning disability and occurs when a baby is born with an extra chromosome. Women over the age of 35 are regarded as being at increased risk of having a baby with Down syndrome, but O’Riordan has worked with mothers who were in their 20s . Very often the condition is linked with health issues such as problems with heart, hearing, vision, muscle tone, thyroid and growth. Once they come to terms with initial diagnosis, parents are often thrown into a whirlwind of hospital visits, surgery and ongoing medical problems. “If a baby needs surgery in the first few months of life, then Down syndrome can take a back seat while parents deal with more urgent issues,” explains O’Riordan. As a result, parents sometimes don’t seek information about Down syndrome until their child is six months old. In other cases, parents have been too overwhelmed by the diagnosis to take in all the information supplied in the maternity hospital and O’Riordan’s job is to brief them and to provide them with practical help as well as to explain the services available to them. Jennifer Rushe from Bray, Co Wicklow, was shocked when her son Cass was born seven months ago with Down syndrome. “I was 34 so was not considered a huge risk,” she explains. She herself made the diagnosis. “I looked into his face and I could see it, so I asked for the obstetrician to come back into the room,” she recalls. Because Cass has none of the health problems associated with many Down syndrome babies he has in fact reached some milestones quicker that his older brother, Milo (3). “He is being breastfed, which I am told is unusual for a child with Down syndrome because many have poor muscle tone and cannot attach,” says Rushe. For Rushe and her husband, Chris Kane, the service provided by O’Riordan has been invaluable, especially last January when Cass was being treated for pneumonia in Tallaght hospital. Part of O’Riordan’s brief is to make parents aware of the early intervention services, such as physiotherapy and speech and language therapy, available all over the country and which are vital for children with Down syndrome. “People are so afraid of Down syndrome because it is a lifelong disability but when Cass was in Tallaght and I saw other children with life-threatening illnesses, I just thought, touch wood, at least he will not have to deal with anything like that,” says Rushe. A former fashion designer with Reebok, she had always planned to take a few years out to look after her small children and is thankful now that she is in a position to do that. Down Syndrome Centre is running a Buy My Dress fundraiser on Saturday, May 28th, at venues in Dublin, Cork, Limerick, Galway, Castlebar, Gorey, Tralee and Kilkenny when dresses donated by thousands of women of all ages and sizes will be sold in aid of specialist nursing care for parents of babies diagnosed with Down syndrome.